The successor to the G-Wiz, the Mahindra e2o, will go on sale in the UK next month. Priced from £13,000 ($18,522 USD), the e2o will be one of the cheapest street legal electrics sold in the UK. The price includes the battery pack, which comes with a three-year warranty. Real-world range will obviously be nowhere near 75 miles since the car only has a 6.4 kWh 10.4 kWh (update: source article quoted incorrect capacity) battery pack. Cars will be purchased online only, as there’s currently no dealership network in place. 12 Comments on "Mahindra e2o To Launch In UK Next Month"
given its stats, IMO it is overpriced junk, that will also have a big problem getting reasonable crash rating. Since it’s a small and a narrow car, it will be very light and easily go 80 miles / charge. At US$ 18,522 this 4-seater cheaper than the Smart-EV which costs $25,000 + and has only 2 seats and only 70 miles range. Selling online is lot better than selling thru dealers who are not willing to sell EVs. Online sales is what helped Tesla selling 50,000 + cars last year. 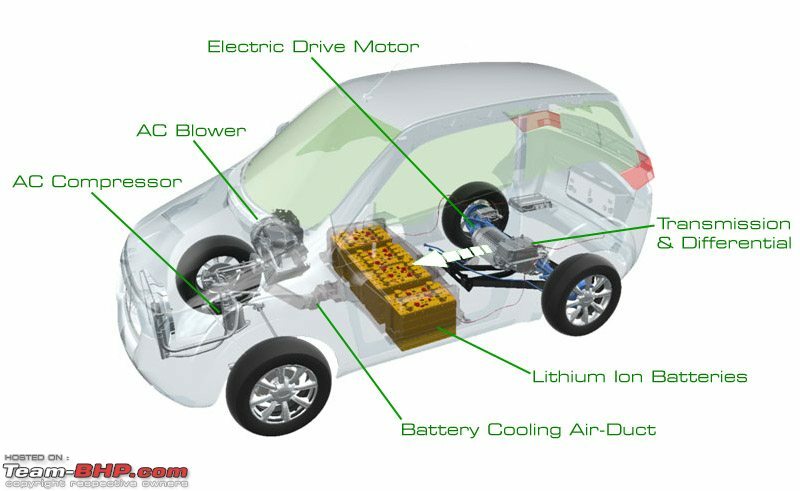 The Smart EV is a safe car with an extremely capable passenger cell. I don’t have anywhere near the confidence in the Mahindra. It’s cheaper in the UK to buy a used LEAF – even one with relatively low mileage – provided you don’t mind buying used. You get a vehicle that’s basically more versatile in every way except size. “More versatile in every way except size…” Are you kidding? The LEAF has 5 doors *for starters*… It’s a *much* bigger car! I think he’s thinking “can go anywhere”. Nothing wrong with a cheap, urban keep-the-rain-out minicar BEV. 50mph top speed is fine for occasional short urban-motorway stretches. Number I’ve seen from owners say ~250Wh/mi for the i-MiEV (which weights ~1000kg), and 140Wh/mile for the Renault Twizy (470kg and the same size battery as the e2o, which gives ~50mi AER). Is unlikely this car has almost twice the efficiency of the Twizy given it’s wider and 85% heavier. 13k is just too much for this car, 6k and it is pretty compelling for London, I’d rather have a twizy for half the price. and official press materials from the cars initial launch in 2013. Regardless I think this car is DOA in the UK. The gwiz gained some success because there was no other option, but today is a different case. Thanks Tman, definitely an issue there in the source article as no way there is a secondary/smaller battery option. The specs you are quoting are incorrect and under-represent the actual specifications, which will be announced in April. The e2o also has some very good features, which together demonstrate how a city car can be optimised for both price and performance. Preview website at http://www.mahindra.co.uk.